The creation of an attractive and functional landscape requires careful planning. At Pristine Property Maintenance, we take great pride in not only maintaining our clients’ landscape, but in making recommendations on how to better improve the hardscape. With over $800,000 invested in large equipment (including loaders, backhoes, bobcats, skid steers, and excavators), there is no job that we do not have the resources to tackle. 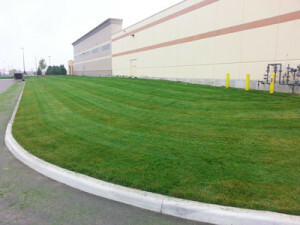 Last year alone, we completed more than $4,000,000 in landscape construction projects across the Greater Toronto Area. At Pristine Property, we believe the most critical component of any job is planning. As such, we have Designers and Consultants who take the first step in working with you to put on paper a vision that we will work together to create. The first step involves a conversation and a site meeting to hear what you, the valued client, have in mind. At that meeting, we will typically take measurements and make some rough sketches which will provide us with the first steps in putting a proposal together that encompasses your vision and discusses budget. At that meeting, we will also be able to advise whether or not any permits or utility locates (i.e. gas, hydro, cable, water, etc.) are required and will determine an action plan to get the ball-rolling. Once you have approved the work, we will revise our proposal to ensure that it encompasses our most recent discussions and then will set to work to take the papered vision and make it a reality. Our estimates are provided free of charge and depending on the complexity of the drawings, sketches, or measurements, there may be a minimal fee for a hard copy of those. In instances where there is a fee for the preliminary work, we will rebate those back to you upon signing a contract with us for the work. Call us today for a free estimate and let us work with you to take a collective vision and make it into a reality!